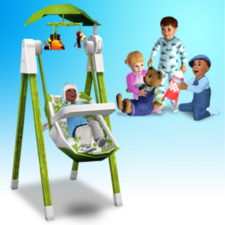 Keep your snugabunny baby or toddler happy and cooing with this exciting back and forth cradle swing! With variable settings, your child's happiness is in your control. Caution: The high setting can cause queasiness and no one likes a sick child. With the Solace Snugabunny Baby Swing, raising babies and toddlers can become much easier! Not only will the customizable Snugabunny Baby Swing look great in your nursery or daycare, and increase the fun for any young child who is swinging, it will also allow you and your child to forget about their other needs while they are swinging, too! 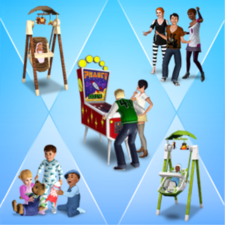 For the 2 hours of auto swinging you get with every push of either the slow or fast button on the Snugabunny Baby Swing, your child’s needs for Hunger, Bladder, and Hygiene will also begin to magically fulfill! 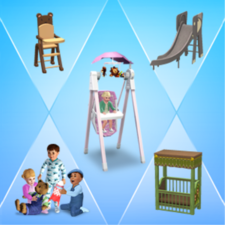 Tired babies and toddlers will sleep in the Baby Swing when they need an energy lift, and when you watch your child in the swing, you’ll both receive fun and social boosts too! Though queasy tots might get a bit nauseous at the fast setting, with so many child-rearing benefits, busy parents needing some extra time should definitely pick up The Solace Snugabunny Baby Swing today! Four looks that ensure that the tip top of your toddler is totally stylish!